Plymouth Minerals (ASX:PLH) provided a promising update on Thursday regarding the progress it has made in conducting processing test work, while also examining the integration of this work into the existing historical feasibility study for the San Jose lithium-tin deposit located in central Spain. In what is a significant strategic milestone for PLH, management has announced its intention to produce battery grade lithium carbonate on-site rather than shipping concentrate to a separate facility. This decision is supported by metallurgical consultants and has been taken after careful consideration of the viability of other commercial processes. It should be noted there that PLH is a speculative stock with much work to do and investors should therefore seek professional financial advice if considering this stock for their portfolio. PLH and its joint venture partner (Valoriza Mineria) have selected a commercial and known sulphate calcine/roast and fresh water leach (sulphate route) to support the technical study required in the Mining Licence Application (MLA). Management pointed out that selection of sulphate calcine allows estimation of operating costs. The MLA is a public document lodged with the mining authorities in Spain which encompasses advanced level examination of mining, processing, environmental and social aspects of the proposed San Jose lithium-tin project. PLH and its joint venture partner have conducted extensive technical work supporting a proposal to produce battery grade Lithium Carbonate (LC) on site. The group’s proposal factors in the mining of circa 1.25mtpa to feed the beneficiation plant to produce LC at an annual production of 15,000 tonnes LCE per year. One of the most impressive aspects of this prospective project would be the comparatively low operating costs. On this note, Lithium Mica deposits can provide a shorter lead time to production than brine deposits and also deliver lower unit costs compared with other hard rock (spodumene) when the conditions enable processing onsite. This accounts for some mica projects having operating costs in the lowest quartile of the cost curve as indicated below. The total operating costs (C1) are comprised of the sum of mining movement and tailing storage costs (mining costs), and beneficiation, processing and packaging costs for sale (processing costs). The processing costs are significantly the largest component of total operating costs. As a result of integrating historical and recent test work information, the processing cost component of total costs is estimated to be in the range of US$3,600-4,400/t LC. This does not factor potential credits from by-products such as tin. In discussing these findings and emphasising their significance in terms of progressing the San Jose lithium-tin project, PLH’s managing Director Adrian Byass said, “This is an excellent result and broadly better than expectations based on public research and public, historic studies at San Jose”. 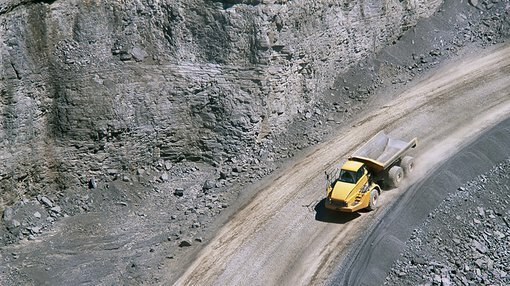 Mining is proposed to be conducted using open pit mining techniques. The deposit lends itself to large, bulk movements due to its outcropping nature, large size and grade distribution. The deposit contains in excess of 1.3 million tonnes of lithium carbonate and has a large component of Indicated Resources. An update on total mining and tailings storage costs can be provided when final selection of the type of storage facilities to be used and their preferred location are made. Management anticipates that this will be completed prior to the submission of the MLA and Plymouth expects to provide an update at that point.